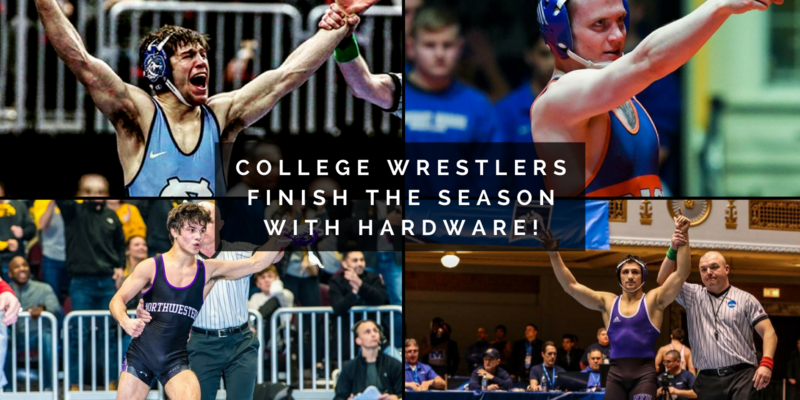 This article originally appeared on our Wrestler Nutrition page. Troy finished 4th at the NCAA DI Championships. This was the highest finish for a Tar Heel since 1996. Troy finished the season with 32-4 record and was the highest ranked wrestler on his team for nearly the entire season. He finishes his career as an ACC Champion, 4x ACC Place Finisher, 3X NCAA Qualifier and an All-American. Congratulations on a tremendous career Troy! Ray finished 7th NCAA DIII Championships. Ray is one the hardest working wrestlers in the country and has proven it since high school. His hard work didn’t go unnoticed by the staff at NYU which heavily recruited Ray. It paid off as he broke the record for most career wins, 149 and set a new single season win mark at 48 wins. Ray finished his career as one of the most decorated wrestler in NYU history with multiple honors such as: NWCA Scholar All-American, NCAA All-American, 5X UAA Athlete of the Week, IAAC Honor Roll, UAA Most Outstanding wrestler just to name a few. Congratulations on a great season Ray! Richie fell in the Round of 12 of the NCAA DI Championships. Richie was a 2X JUCO All-American and National Finalist before coming to Rutgers. While at Rutgers he was a 3X NCAA Qualifier, 3X Big Ten Place Finisher, Midlands Place Finisher, U23 World Freestyle Champion and finished with 49 career wins and a 26-3 career B1G dual meet record. All this despite having nearly an entire season taken from him due to injury. Congratulations on a great career Richie, we are very proud of you and can’t wait to see what the future holds for you! Sebastian Rivera– Redshirt Sophomore, Northwestern. Sebastian competed in one of the deepest weight classes in the country and finished with a 6th place finish at the NCAA Championships and a 5th place finish at the B1G Championships. The former NJ State Champion finished the season with a 31-8 (second most on the team) with all but one of his losses coming to wrestlers who were or have been NCAA finalists or NCAA Champions, most of these being very close matches. Congratulations Sebastian, we look forward to seeing you make it to the NCAA finals next year! Owen McClave– Sophomore, Coast Guard Academy. Owen finished 7th at the NCAA DIII National Championships. Owen finished the season with a 29-8 record which was second on the team and 6 falls which was 3rd on the team. Owen was also named to the North East Wrestling Association Second Team. Congratulations Owen! Troy Stanich– Sophomore, Stevens Institute of Technology. Troy finished 3rd at the NCAA DIII National Championships. Troy is a 2X All-American, and was Stevens first All-American last year when he also finished 3rd. Troy was upset early in the tournament, coming in ranked first in the country, and battled all the way back for 3rd. He has ranked up many awards, two conference titles and is on pace to be the most winning wrestler in Steven’s history. Keep up the hard work Troy and congratulations on a great season!